Mr Cuddles is about 7 years old and came into CPL care with female housemates Toi Toi (not yet advertised) and Rata when their owner moved house and was unable to take them along. 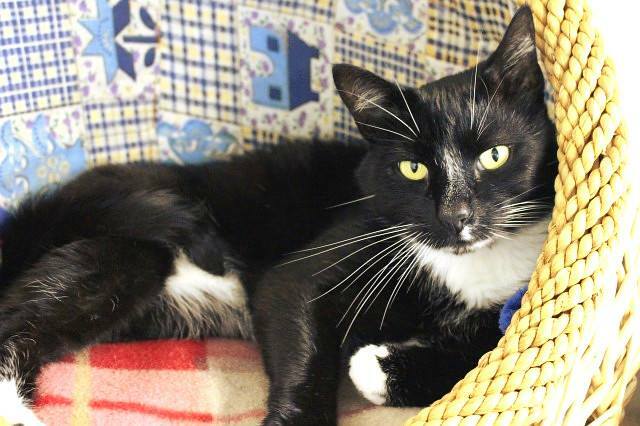 Initially shy, Mr Cuddles is blossoming into a friendly and affectionate cat who truly lives up to his name. He can be easily startled, though, and will best suit a quiet adult home. He gets on well with his housemates but is not closely bonded, so we are happy for him to be adopted either separately or with one (or both) of the girls.